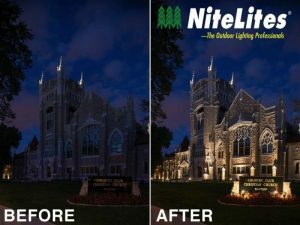 NiteLites Outdoor Lighting Conference was recently held in Kansas City, Missouri. NiteLites is a national outdoor lighting franchise with comprehensive outdoor lighting services for commercial and residential projects. This national conference brings together the NiteLites lighting franchisees throughout the U.S and is always held in one of the franchisee’s home town. This year’s town host was Kansas City outdoor lighting designer, Doug Bringman. 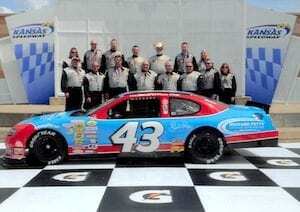 The program theme was Race to the Finish with the Richard Petty Racing Program at the Kansas City Race Way, which was the site of this year’s social event. Each conference the social event provides valuable networking time for these outdoor lighting business owners to share their best outdoor lighting solutions for commercial and residential projects with their fellow lighting designers. Professional lighting education and training sessions were given throughout the conference. According to, NiteLites President and CEO, Thomas A. Frederick, this national outdoor lighting franchise used this opportunity not only for training but also for the release of their latest in energy efficient LED products. Additionally, there was also a primary focus on the overall view of the building industry and housing market demands and trends. One of the most fulfilling aspects of the conference was the recognition of the national sales leaders. The awards were given for top performance in 2015 and also recognition for 2016. 2015 NiteLites Silver Awards were given to T.J. Pantano of NiteLites of Atlanta Outdoor Lighting Services, Randy Greenhill of NiteLites of Charleston Outdoor Lights for lowcountry living, Rob Greening of Houston Outdoor Lighting, Mykal Minor of Indianapolis Outdoor Lighting, Doug Bringman of Kansas City Outdoor Lights, and Dave Thoma of Nashville Outdoor Lighting Services. Naples Outdoor Lights and Dayton Outdoor Lighting earned 2015 Gold Awards. The top 2015 award for the most sales, the Platinum Award was given to NiteLites of Jacksonville, Florida Outdoor Lighting Services. The 2015 National Sales Leader was awarded to Trevor Rosendahl of Jacksonville. 2015 President’s Club Awards that recognizes year-over-year growth for 2014 to 2015 were given to the NiteLites Outdoor Franchisees of Houston, Indy, Kansas City, and Nashville. The top 2016 outdoor lighting services business awards were as follows Silver Award to Atlanta, Houston, Indianapolis, Kansas City, Naples, Nashville, and Sarasota. 2016 Gold Award recipients included Charleston, SC and Dayton, OH. The Platinum Award was once again earned by Jacksonville, FL for their top sales of outdoor lighting systems and services. National Sales Leader was Trevor Rosendahl of Jacksonville, FL. President’s Club Awards, which are for 2015 to 2016 year over year growth in outdoor lighting sales, were awarded to Charleston, SC, Dayton, OH, Indianapolis, IN, Jacksonville, FL, Kansas City, MO, and Sarasota, FL. This national outdoor lighting franchise is expanding their outdoor lighting franchise operations in selected regions of the United States. To obtain more information, visit https://www.nitelites.com/information/become-a-franchise/ or call 1-866-648-3548 (1-866-NiteLites).